Madisonville CISD is a 400 square mile consolidated school district that serves the communities of Madisonville, Midway and Bedias. I have been fortunate to have served in several capacities in our district over the last 27 years. I have worked as a teacher, coach, assistant principal, federal funds coordinator, and principal on two campuses as well as the superintendent; therefore, I can tell you from experience that MCISD is a great district for children to go to school and our community is an outstanding place to raise a family. Over the last 11 years MCISD has committed over 30 million dollars to facilities for our students. They are some of the best in the entire state and we are blessed to have such a supportive community to help provide them. MCISD excels at the state mandated accountability system. However, our philosophy of student development is not that narrow. We choose to focus on the whole student. Mental, physical, spiritual and ethical development are at the core of our student focus. Our district strives to instill the qualities of excellence, service, loyalty, respect, integrity and leadership in each of our students. We use our excellent extra and co-curriculum programs to enhance a student’s total educational experience. We help young people to be college and career ready, but most importantly our students are built for life. MCISD is a great place to serve. The district has worked hard to maintain an atmosphere of order and discipline. This is paramount before learning can take place. Administrative support as well as new, quality, clean buildings are essential for academic success. Our salary and benefits package is at the top in the Brazos Valley. Additionally MCISD chooses to go the extra mile by providing catastrophic leave, free Pre-kindergarten and paid maternity and paternity leave for our teachers. Providing these extra benefits helps our teaching families and in the end gives them the ability to better serve our students. MCISD truly cares for teachers and is a great place to serve. Thank you for visiting our website. When you can please come by and visit our campuses. 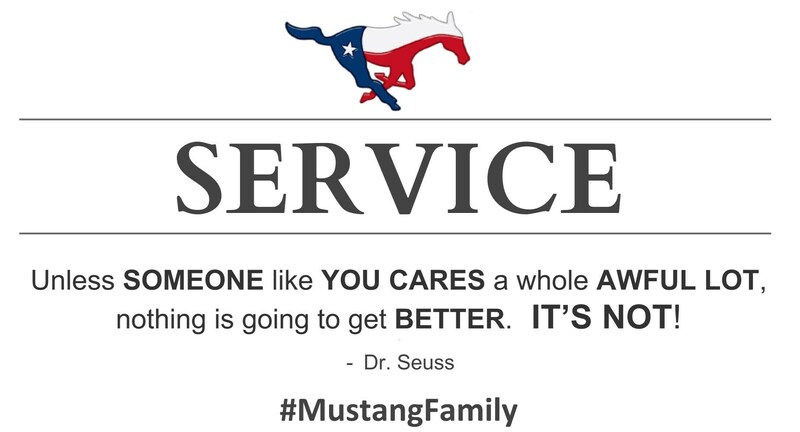 Then you will see firsthand why every day is a great day to be a Mustang! God Bless and Go Mustangs!